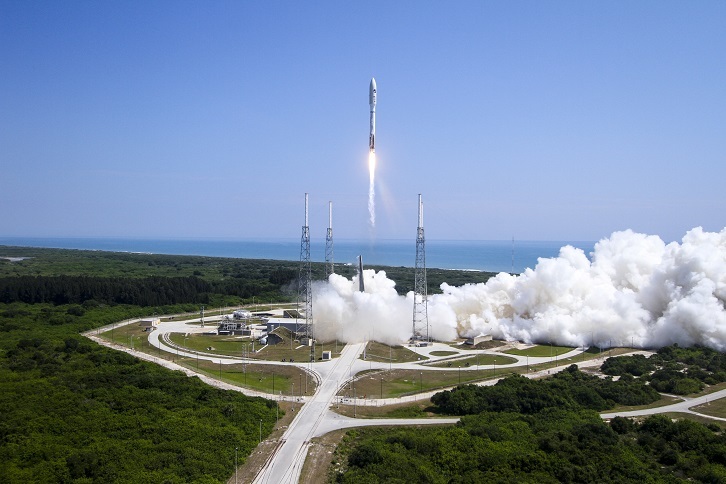 On May 20, 2015 took off the rocket Atlas 5 from the Florida spaceport at Cape Canaveral. It delivered into orbit unmanned mini space shuttle X-37B, which is operated by the Air Force of the United States that uses the shuttle for testing new advanced technologies. By that information ended up most of the reports of international and domestic media. At the last stage of the launcher, however, it was also placed ten small CubeSat satellites, of which two carries Czech payload. It is not very common to launch university satellites together with clandestine military mission, but in the US it is possible mainly due to the large contribution of Air Force Space Command (AFSPC) and the National Reconnaissance Office (NRO). Launching nine out of ten CubeSats was allowed by military, the tenth was sponsored by NASA. One of these small student satellites is PSat A of size 1,5U. Onboard there are as the primary payload two communication transponders developed by the US Naval Academy and Experimental Satellites Laboratory (Department of Radio Electronics, FEEC) in Brno, Czech Republic. The transponder developed and built in Brno is also located on BRICSat-P satellite of the same size 1,5U. 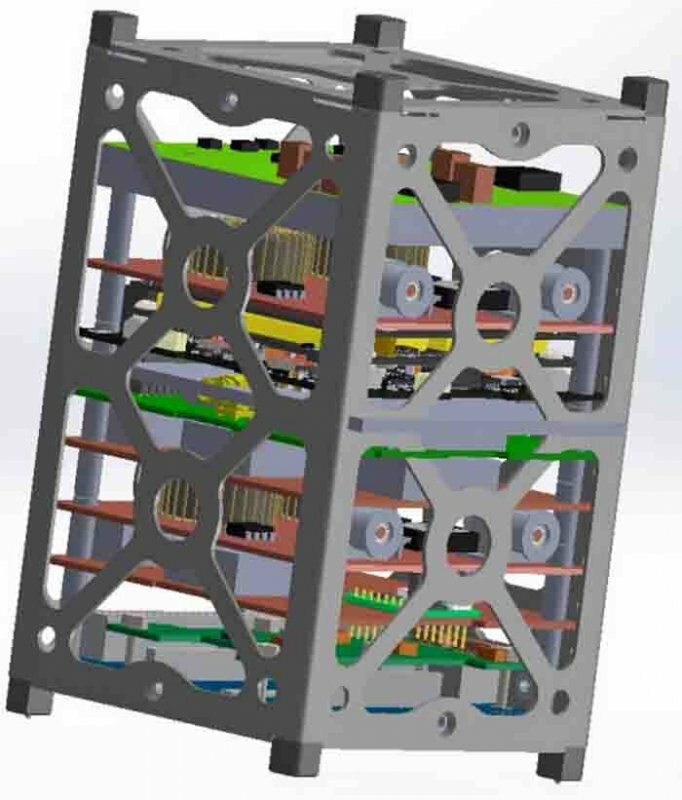 Both CubeSats (type A and B) were to be identical, but due to lack of flight opportunities it was decided in 2014 to rebuild PSat B to the BRICSat-P and to add onboard miniature pulsed plasma thrusters. Prof. Miroslav Kasal, head of the Experimental Satellites Laboratory, describes the technical parameters of transporders: "PSat A carries our single-board transponder with square printed circuit board of edge 91.4 mm. On the satellite BRICSat-P there is two-board transponder of dimensions 63.4 x 63.4 mm. Uplink frequency is 28.120 MHz of PSK31 modulation (SSB), bandwidth is of 3 kHz, input sensitivity of -120 dBm and the supply voltage 5 V. The consumption depends on the mode of the transmitter, which currently recieve commands. Consumption of receiver that never turns off and work on ultra short waves is 27 mA." 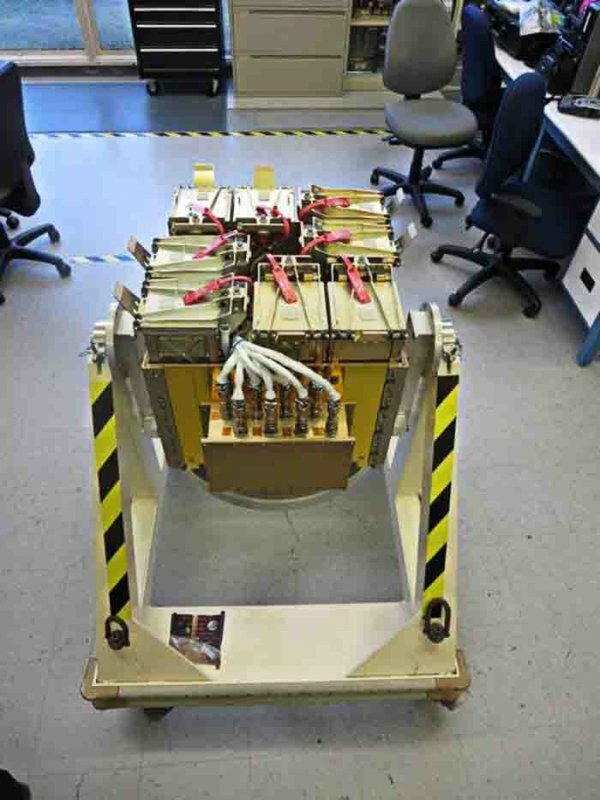 Transponders have been developed, built and tested at Brno University of Technology and the Military Naval Academy USA carried out their integration into satellites and secured its subsequent launch. The development of transponders continuously follows the previous Czech project named PCSAT2, which was implemeted on the International Space Station. 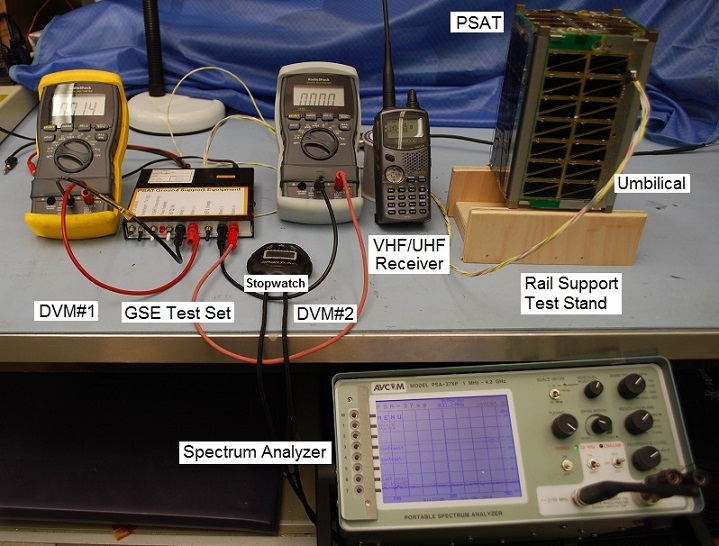 The main task of both small satellites is to verify experimental digital communications with a slow transfer speed but high spectral efficiency. "In a 3 kHz channel, it may be a larger number of independent carrier frequencies of PSK31 modulation. The problem with using the transponder in low space orbit is the Doppler shift of frequency. To achieve synchronization of the carrier frequency during detection, it is required special software. We work togeether with Peter Martinez from Great Britain, who is the author PSK31 transmission system to solve this problem," explains prof. Kasal. The Experimental Satellites Laboratory in Brno is involved also in mission´s PSat A and BRICSat-P ground segment and it is authorized as a command and telemetry station. The activity of these stations entails planning of operational activities of satellites, primarily by available electrical energy and transmission of corresponding commands. The whole process starts with the regular collection of telemetry data and their evaluation. "In total there are five authorized command station for these satellites, but we are the only one who control transponders BRICSat-P," adds prof. Kasal. Launch of Atlas 5 with mini space shuttle X-37B and ten CubeSats. Set of 10 CubeSats launched in May 2015 on Atlas 5.